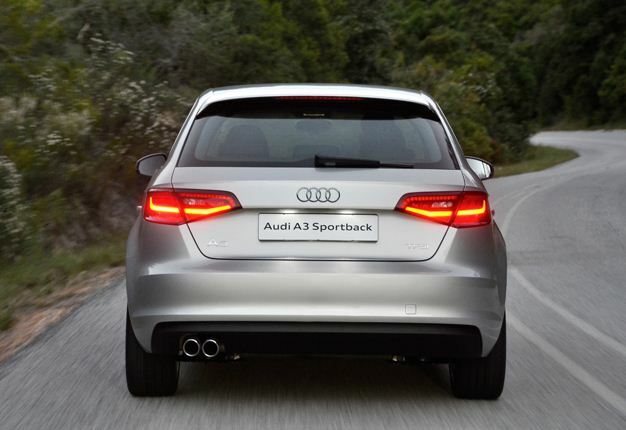 Recently the Audi A3 1.4 TFSI Sportback joined my long term test fleet, the following review is an unbiased assessment. I have had the 1.4 TFSI Sportback for just over a year without any bumps along the road, to say the least this little Audi has been a trusty well built companion on long trips and an equally competent city runner. The Audi A3 Sportback 1.4TFSI s-tronic is priced as the second model up the A3 range, slotting in just over the four hundred grand mark. Indeed, its R410 000 plus on-road costs price tag makes it fairly rare in this segment, with rivals such as the BMW 1 Series and Mercedes-Benz A-Class clambering over the R430 000 barrier for their second-tier auto models. There’s no surprise, then, that it’s currently the 2nd most efficient petrol-powered Audi A3 you can buy, with claimed fuel consumption of 5.3 litres per 100 kilometres. However, that’s only 0.4L/100km better than the 1,2 standard model. The engine is a 1.4-litre turbocharged unit producing 90kW of power and 200Nm of torque, and it drives the front wheels through a standard seven-speed s-tronic gearbox. 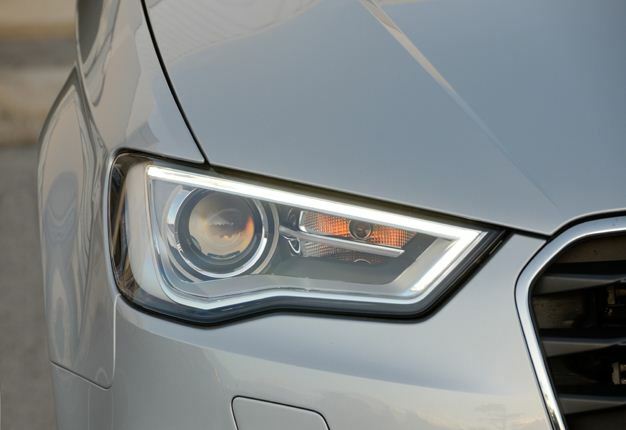 Indeed during our 12 months with the frugal A3 we soon noticed how willing the engine felt, with a free-revving nature and a nice amount of low-down torque. There’s a slog of torque from just 1500rpm that stays on until 3500rpm, and peak power hits from 5000-6000rpm. The s-tronic transmission has some hesitancy from a standstill, but once you learn how the gearbox wants to behave it is easy to counteract in most circumstances. There are, however, moments when you plant your foot and seemingly wait a little longer than you’d hope for the initial progress to be made – crossing intersections, for instance. As we’ve written in the past, the A3’s cabin is arguably the best in this class, and our first impressions of how the hatch will be to live with have been promising, to say the least. There’s leather trim and nice aluminium finishing across the dashboard and doors, and there’s enough space for four adults. The boot is big enough for a pair of large suitcases and there is ample storage throughout the cabin, including big door pockets and cup holders front and back. 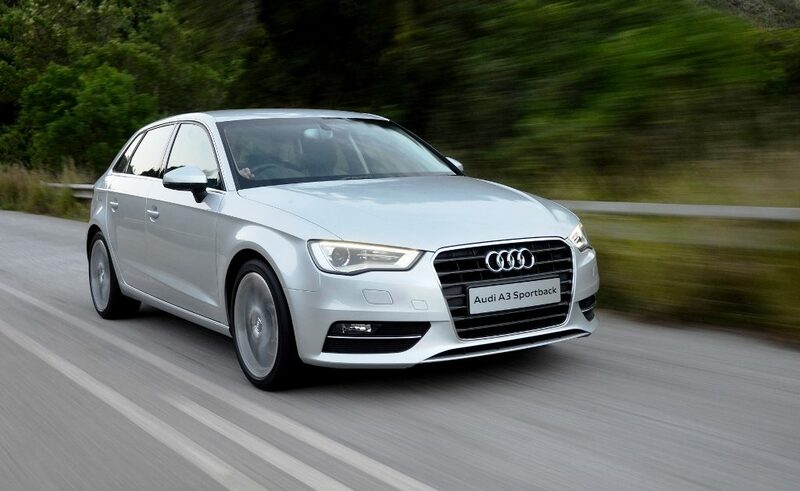 The ride on the A3 Sportback is superb, you instantly feel like you’re in control of the drive. It corners flat and soaks up bumps and undulations fantastically. Having driven the BMW 1 series a few months ago, the Audi certainly feels the more comfortable of the two. I’ve already sung the A3 Sportback’s praises for its usability and premium feel, and this 1.4 TFSI version is one of the best all-rounders in the range. It’s quiet and comfortable around town, while capable of brisk performance on a B-road. A few key premium features aren’t fitted as standard, but the class-leading build quality makes up for that.